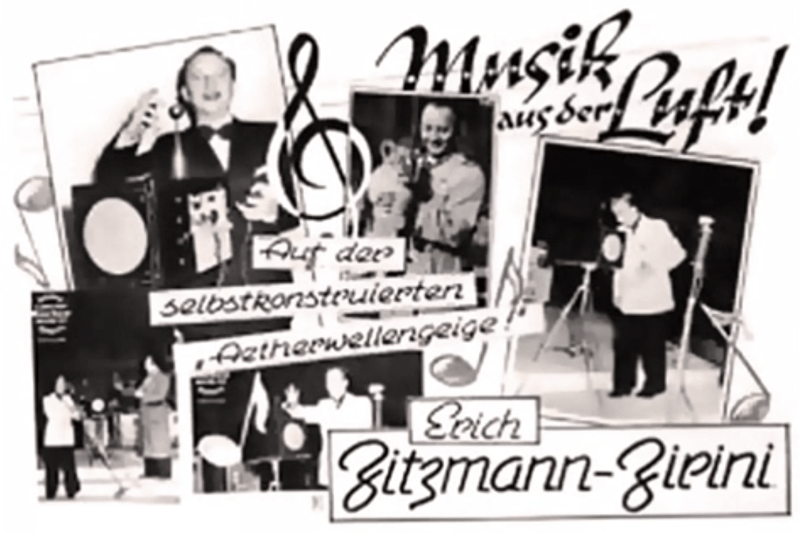 Zitzmann-Zirini used his one-off instrument as the centrepiece of his career in vaudeville, circus, radio, and TV shows, he renamed his instrument the ‘musical Sputnik’ after Gagarin’s space flight in the 1960s. The Clavivox was invented by the composer and engineer Raymond Scott circa 1950. 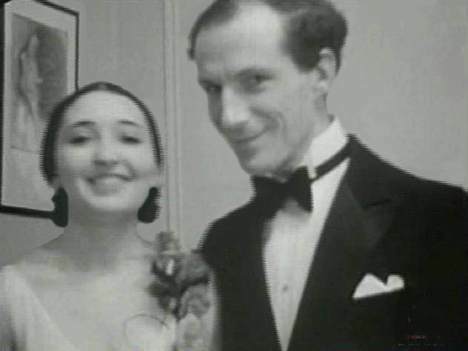 Scott was the leader of the Raymond Scott Quintet working originally for the CBS radio house band and later composing eccentric but brilliant scores for cartoons for Warner Bros such as ‘Loony Tunes’ and ‘Merrie Melodies’. Scott incorporated elements of Jazz, Swing, pop music and avant-garde modern music into his compositions using a highly personal and unusual form of notation and editing. 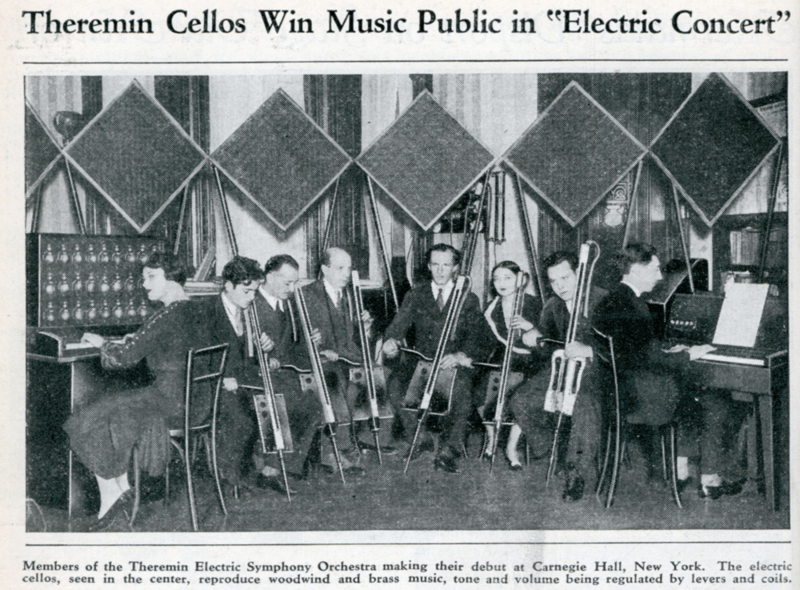 To the exasperation of his musicians, Scott would record all the band sessions on lacquer discs and later, using a cut and paste technique, edit blocks of music together into complex and almost unplayable compositions.In the 1946 Scott founded Manhattan Research, a commercial electronic music studio designed and built by Raymond Scott, featuring Scott’s own electronic devices and other electronic instruments of the period. 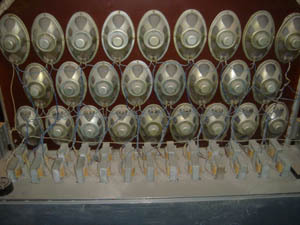 The studio had many unique sound processors and generators including ‘infinitely variable envelope shapers’, ‘infinitaly variable ring modulators’, ‘chromatic electronic drum generators’ and ‘variable wave shape generators’. 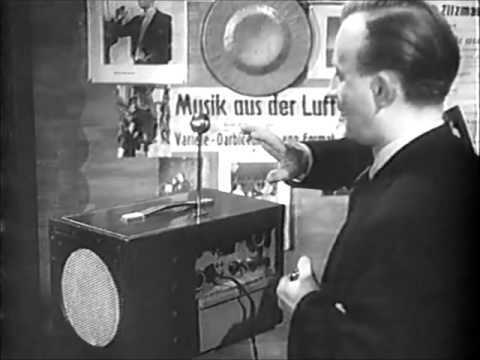 Scott built his first electronic musical instrument in 1948 dubbed ‘The Karloff’ this machine was designed to create sound effects for advertisements and films and was said to be able to imitate sounds such as voice sounds, the sizzle of frying steak and jungle drums. 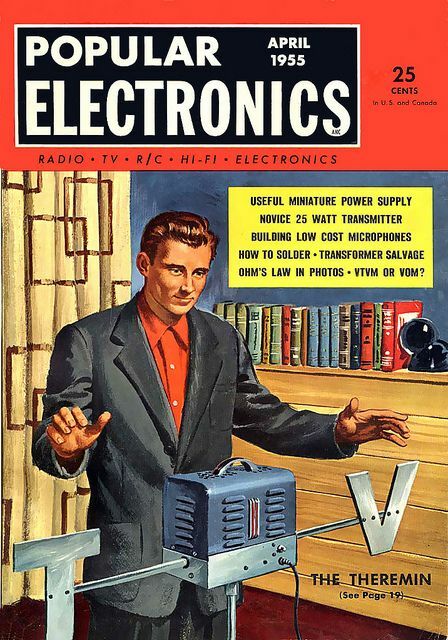 In the 1950’s Scott started to develop a commercial keyboard instrument the Clavivox or keyboard Theremin (completed circa 1956). 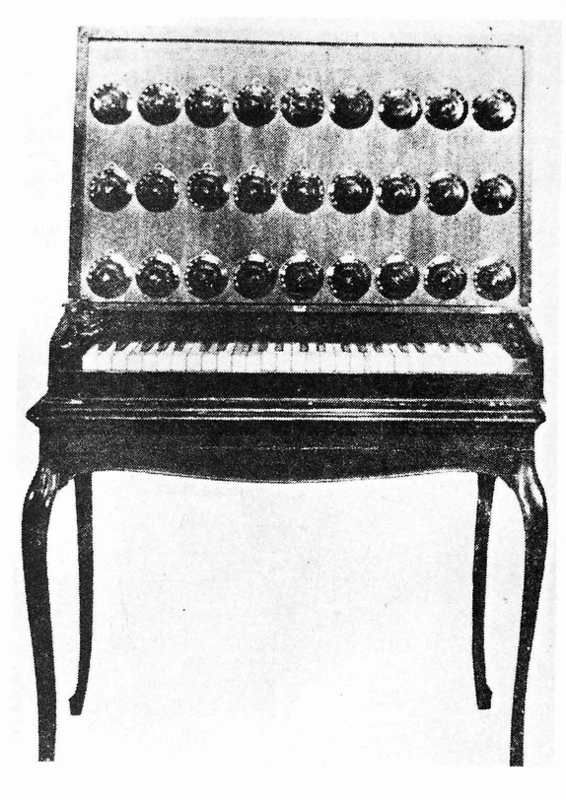 The Clavivox was a vacuum tube oscillator instrument controlled by a three octave keyboard (with a sub assembly circuit designed by a young Bob Moog). 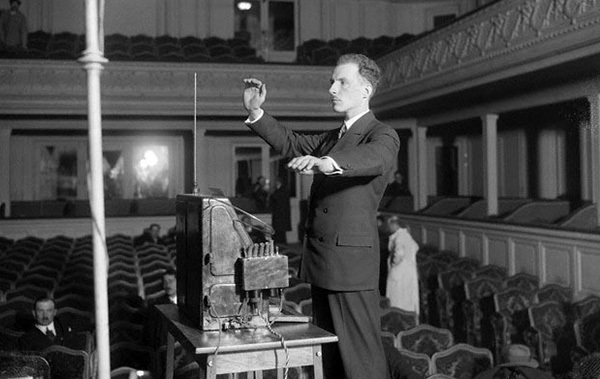 The instrument was designed to simulate the continuous gliding tone of the Theremin but be playable with a keyboard. 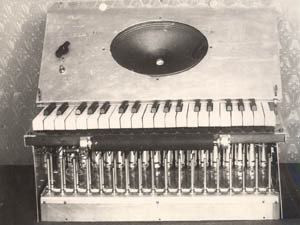 The machine was fitted with three ‘key’ controls on the left of the keyboard that controlled the attack of the note or cut of the note completely, these keys could be played with the left hand to give the enevelope characteristics of the note. Other controls on the Clavivox’s front panel were for fine and coarse tuning and vibrato speed and depth. 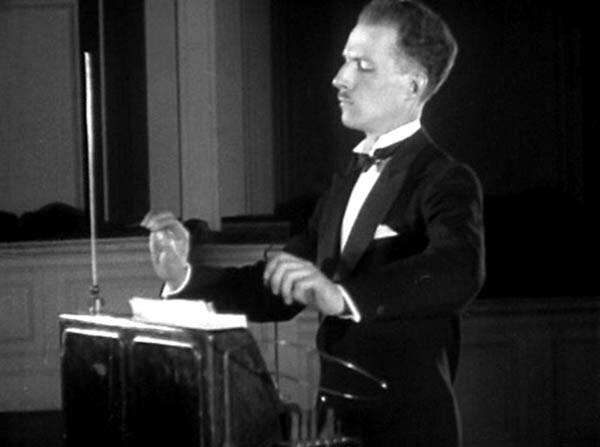 Scott used the Clavivox in his cartoon scores for sound effects (similar to the ‘eerie whine’ of the Theremin) and stringand vocal sounds. The Clavivox was inteneded for mass production but the complexity and fragility of the instrument made this venture impractical. During the 1960’s Scott built a number of electronic one off instruments and began experimenting with analogue pitch sequencing devices. One of the prototype instruments built during the sixties was a huge machine standing six feet high and covering 30 feet of scott’s studio wall. 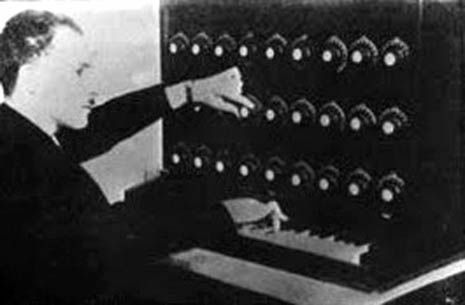 The pitch sequencer was built using hundreds of telephone exchange type switch relays and the sounds were generated from a bank of 16 oscillators, a modified Hammond organ, an Ondes Martenot and two Clavivoxes. The noise produced by the clicking switches had to be dampened by a thick layer of audio insulation.Scott used the machine to compose several early electronic music pieces in the 1960’s including three volumes of synthesised lullabys “Soothing Sounds for Baby” (1963) predating minimalist music’s (Phillip Glass, Steve Reich) use of repetition and sequences by 20 years. 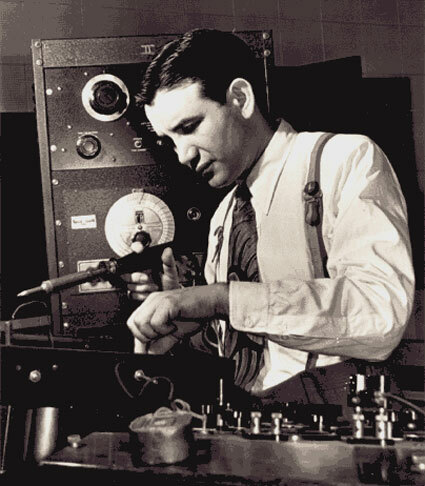 Trailer of’Deconstructing Dad‘ a documentary on Raymond Scott. In 1972, Scott became the head of electronic music research and development for Motown Records. After his retirement, Scott used MIDI technology to continue composing until 1987, when he suffered the first of several debilitating strokes. 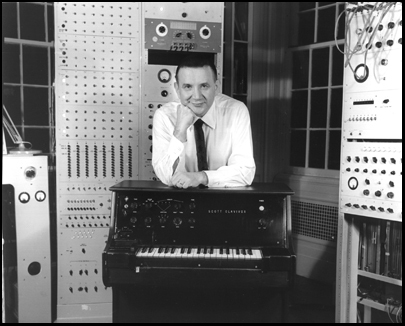 Raymond Scott died in 1994. The Raymond Scott Archive. P O Box 6258,Hoboken.New Jersey 07030. USA.